Tellington TTouch was developed by Linda Tellington-Jones and is used by TTEAM practitioners across the world. 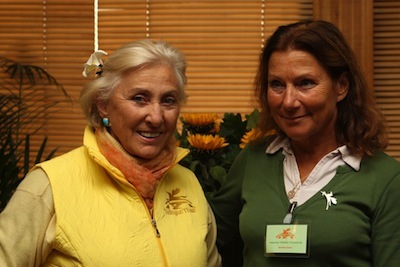 Linda Tellington-Jones is internationally known as a horse behaviourist and trainer. Nelleke Deen has been teaching TTEAM since 1990 and is a practitioner Equin. The Tellington TTouch method for horses improves behaviour, performance, well being and enchances the relationship between horse and rider.